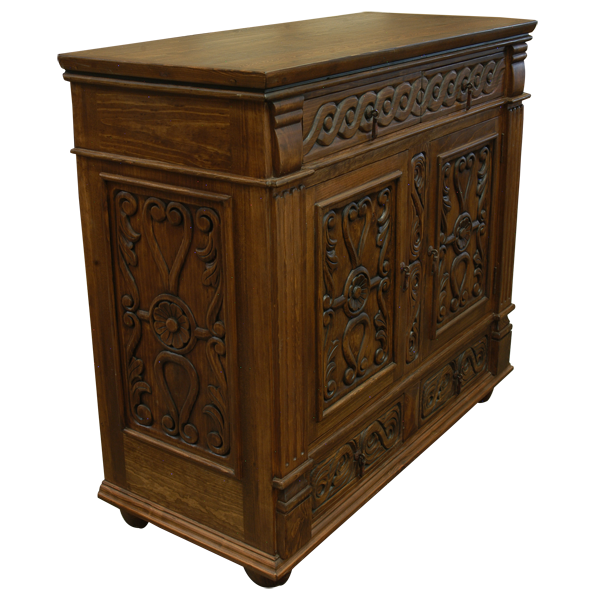 The quality of the hand carved details on his handcrafted, Spanish colonial style credenza is absolutely spectacular. Directly below the wide, open top of the credenza are gorgeous, hand carved scroll designs that embellish the entire upper front of the credenza. 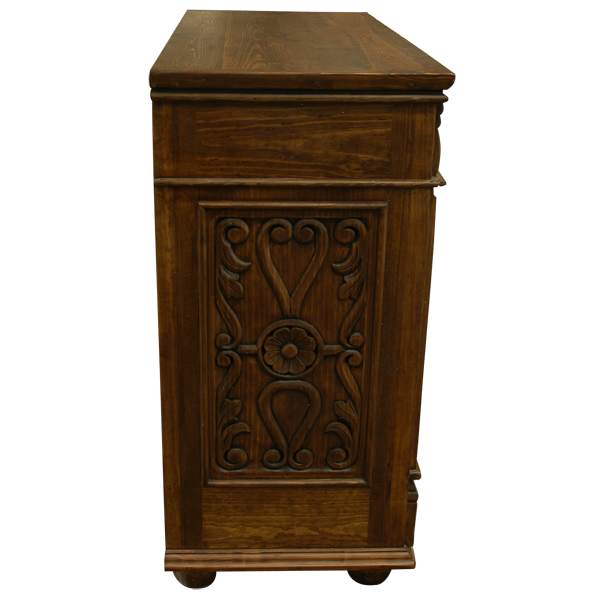 Both front sides of the credenza are adorned with opulent, hand carved, fluted uprights. 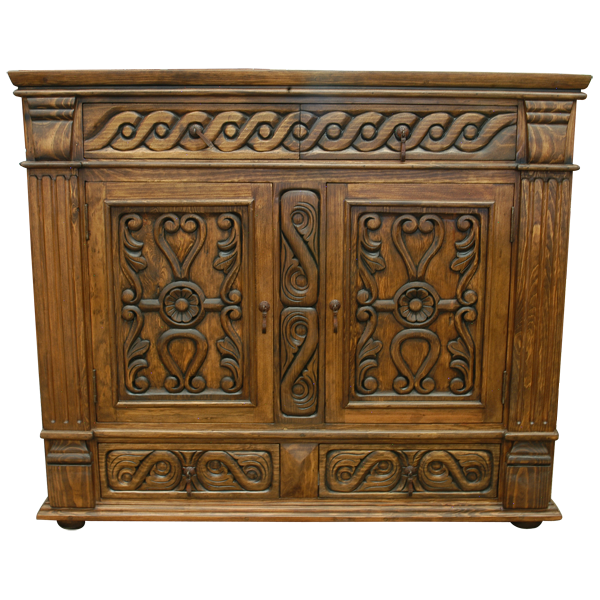 The credenza features two, beautiful, rectangular cabinet doors, and each door has a rectangular cut design with magnificent, hand carved, floral and scroll designs on each front. Each of the cabinet doors has a hand forged, iron, pull handle on its side. 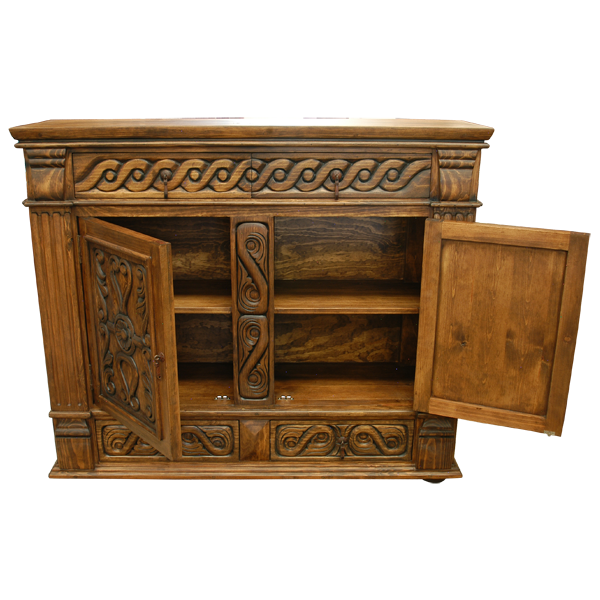 The cabinet doors are separated by lovely, hand carved, scroll designs. Inside the cabinet doors is a shelf for practical storage. The credenza is supported by small, hand turned, bun style feet. The base and each lateral side of the credenza are decorated with matching, opulent, hand carved, floral and scroll designs. The credenza is made with the best, sustainable, solid wood available, and it is 100% customizable.